The Senate Republican Conference elected its leadership team for the 115th Congress. 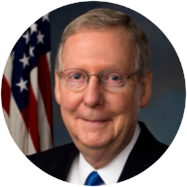 Sen. Mitch McConnell (R-KY) has won a second term as Senate Majority Leader. His entire leadership team was also re-elected today, including Sen. John Barrasso (R-WY) who Chairs the Senate Committee on Indian Affairs. House Speaker Paul Ryan (R-WI) was unanimously re-nominated by his party to continue to serve as speaker in the 115th Congress. However, Ryan still must win a majority by 218 votes by the full House when the new Congress convenes in January. He is expected to easily win that vote, but could still face some defections even within his own conference. Senate Republicans have not yet announced their assignments to head committees. Sen. Charles E. Schumer (D-NY) won the backing of his caucus today to take over as minority leader for the 115th Congress from retiring Sen. Harry Reid (D-NV). In the new leadership, Sen. Tom Udall (D-NM) becomes a ranking member on the Senate Committee on Indian Affairs. 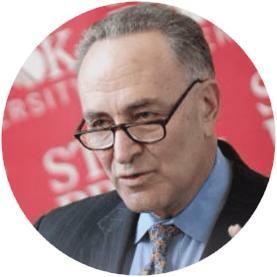 Although not officially a democrat, Schumer created a new leadership post, the Chair of Outreach, for Sen. Bernie Sanders (I-VT), who has been actively involved in resisting the Dakota Access Pipeline movement. It has not been mentioned who will replace Sen. John Tester (D-MT) who is currently the Senatorial Campaign Committee Chairman and is up for re-election in 2018. Sen. John Tester has led the charge on many Native American issues, including access to quality health care and the Tribal Law and Order Act. In addition to filling out the leadership team for the 115th Congress, Senate Democrats also rearranged who will serve as their top members on several committees. House Democrats have postponed their vote on the new leadership until November 30.